After graduating from Liverpool John Moores University, Tejal completed the Legal Practice course at Leicester De Montfort University and gained legal experience working for law firms in the Midlands and the North West of England. She trained at Barnetts Solicitors and went on to work for a personal injury law firm, working closely with nationally-recognised insurance companies, advising insurers in relation to claims being made against them in areas such as road traffic accidents, employer’s liability and public liability claims, and providing insurers with comprehensive costs advice. On joining George Ide’s personal injury department Tejal took responsibility for road traffic accident cases involving elements of credit hire, before being offered the opportunity of assisting with catastrophic injury claims. Tejal now assists in undertaking high-value claimant work with a particular focus on catastrophic injury and rehabilitative services – she has gained a wealth of experience in dealing with brain-injured clients. 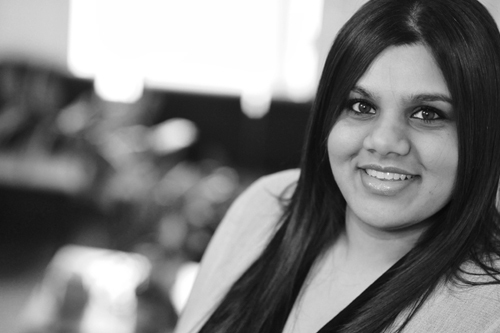 From her past experience to date, Tejal has developed skills that enable her to maintain positive relationships with clients by taking the time to understand their needs. She also makes effective use of her negotiation and communication skills to ensure she acts in clients’ best interests at all times.